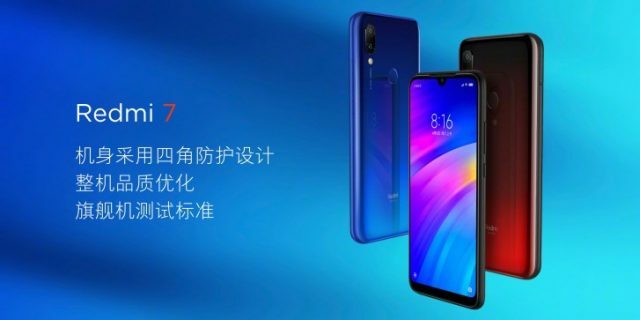 The Redmi 7 has be officialy released in China! The phone follows the Redmi Note 7 in offering a chipset and battery better than its price would suggest. It has a 6.26-inch LCD panel with HD+ resolution, and is powered by a Snapdragon 632 with eight CPU cores clocked at 1.8GHz. It has a dual camera setup in the back consisting of a 12MP main shooter with a 1/2.9-inch sensor size and a secondary 2MP sensor. At the front is an 8MP selfie camera. The phone packs a 4000mAh battery with standard 10W charging and runs on MIUI 10, based on Android Pie out of the box. The Redmi 7 comes in three variants – 2GB RAM + 16GB internal storage, 3GB RAM + 32GB internal storage, and 4GB RAM + 64GB internal storage. These will sell for CNY 699 (about PHP 5,505.40), CNY 799 (about PHP 6,293.02), and CNY 999, respectively (about PHP 7,874.34). 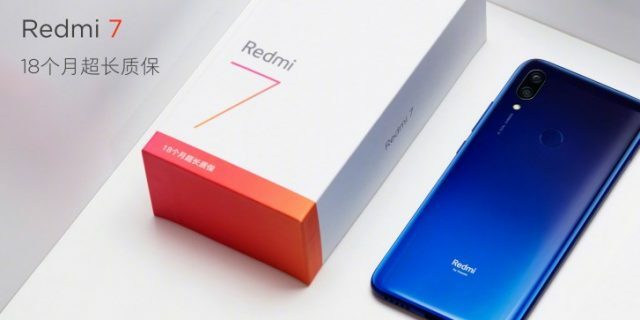 At the event in Beijing, Redmi also officially released the Redmi Note 7 Pro in the Chinese market. It is the same Snapdragon 675-powered device with a 48MP camera and Sony IMX586 sensor that was introduced in India.